Sentrient is Australia’s most reliable online workplace compliance management system for small and medium business and larger organisations. Regardless of the size of your business, the risk associated with breaches in work health and safety, privacy, workplace bullying, sexual harassment and equal employment opportunity is on the rise. The internet and social media have made your workplace even more complex, as your staff are now vulnerable to online discrimination, sexual harassment and cyberbullying, outside of regular work hours. 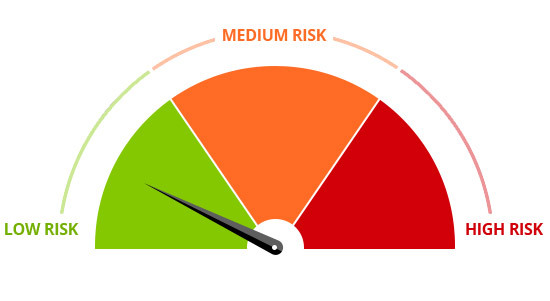 Furthermore, 70% of Australian businesses do not have a reliable workplace compliance management system in place. As a result, engagement surveys, exit interviews and lost time injury reports all point to a massive shift in absenteeism, staff turnover, lost productivity, decreased employee engagement and a dramatic rise in mental health issues. The absence of a reliable workplace compliance management system can also lead to significant claims for legal liability, lost time spent in investigations, mediation and legal proceedings, lost revenue opportunities, irreparable reputational damage and the destruction of shareholder value. 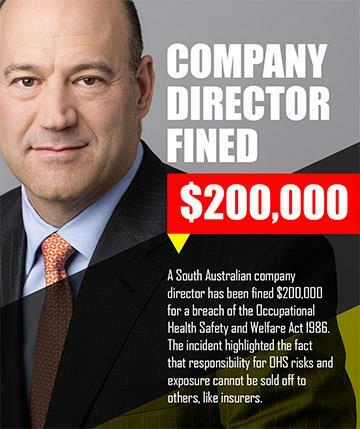 A South Australian company director has been fined $200,000 for a breach of the Occupational Health Safety and Welfare Act 1986. The incident highlighted the fact that responsibility for OHS risks and exposure cannot be sold off to others, like insurers. Companies face being liable for sexual harassment charges by their employees even if it happens outside the workplace. After a court upheld a payout to a Melbourne woman harassed by a colleague at a pub by a colleague at a pub outside of normal work hours. 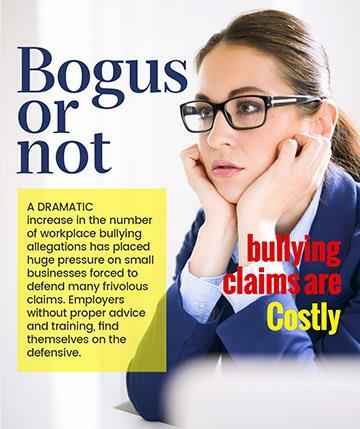 A DRAMATIC increase in the number of workplace bullying allegations has placed huge pressure on small businesses forced to defend many frivolous claims. Employers without proper advice and training, find themselves on the defensive. Is your business compliant when it comes to work health and safety, privacy, workplace bullying, sexual harassment and equal employment opportunity? Sentrient is Australia’s most reliable online workplace compliance management system for small and medium business and larger organisations. We help businesses with as few five staff all the way through to some of Australia’s largest organisations with thousands of employees, contractors and volunteers. The businesses we serve are many and varied, including not-for-profits, healthcare, community and social services, medical research institutes, sporting clubs, associations, financial services, professional services, construction, manufacturing, retail, education and government. What people like most about the Sentrient online workplace compliance management system is that it is affordable and can be deployed in just minutes, without setup costs or any of the stress associated with complex system configurations. It comes pre-loaded with legally endorsed online workplace compliance training, a workplace policy builder and ready-made reports for audit purposes. This makes it easy for you to do the right thing and protect your business from the ever-increasing cost associated with breaches in work health and safety, invasion of privacy, workplace bullying, sexual harassment and discrimination. Your online workplace compliance management system comes with a suite of six online workplace compliance courses that are legally compliant and kept up to date with legislation for all States and Territories in Australia. This includes work health and safety, privacy, workplace bullying, sexual harassment, equal employment opportunity and the appropriate use of the internet and social media. We do the heavy lifting when it comes to compliance by ensuring they are kept up to date as legislation changes. Better still, each course is simple to navigate, asy to understand and will only take your staff 15-20 minutes to complete! "We have had glowing feedback about you courses and everyone has found them to be comprehensive, interactive and time effective!" Your online workplace compliance management system comes with a workplace policy builder that enables you to create, enrol and manage the completion of your own workplace policies, including version control and automatic reminder notifications. It also comes with a compliance records feature so that you can manage licenses, certifications, memberships, checks, face to face learning and reports. Combined with automated reminder notifications and simple dashboard reporting, we really do help you take the pain out of compliance! "A big thank you, it’s been very easy to use and exactly what we needed!" Your online workplace compliance management system is simple to implement, easy to use and available 24x7 on all devices. In fact, most businesses have the system up and running within the space of a 30-minute working meeting with one of our implementation specialists. You can also be sure that we provide you with secure data hosting here in Australia and comply with all privacy and security requirements as required by Australian law. Furthermore, we have a team that are happy to help you along the way, because we want you to use your system, not put it on the shelf! "The support we get from Sentrient is second-to-none!" Get started with your online workplace compliance solution today! 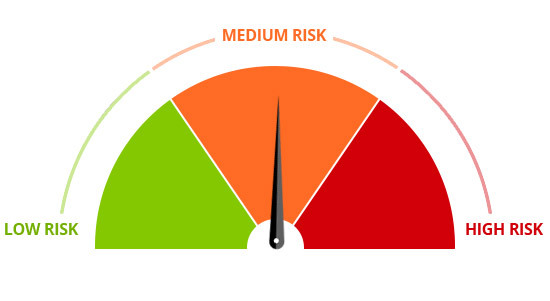 A reliable workplace compliance management system is a powerful tool that will help you take the pain out of compliance and protect your business. It also sends a message to your people that you expect a workplace culture that is safe, fair and inclusive. No business should settle for anything less!